Poker cards UV contact lenses are best cheating device to easily manipulate all the poker games without getting notices. 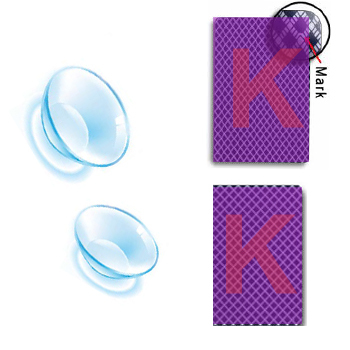 Card number and suit of the other players can be identified easily with these invisible poker contact lenses. These cards help you identify every marking printed with the invisible ink and luminous printing technology. High quality material – HEMA is used to make these cards which make these cards very comfortable and harmless for users to use for longer durations. Color of all customers’ eyes can’t be the same, so we deal in all types of UC contact lenses for different color eyes. Black eyes contact lenses, gray eyes contact lenses, blue eyes contact lenses and green eyes contact lenses are the most popular contact lenses. 1. Can anyone suspect user using these contact lenses? No, these lenses are hidden and suit the eyes of all colors. It is very difficult to be detected by anyone. 2. What color and size do you have? We deal in 6mm, 8mm, 9mm. 3. How long these lenses can be used? Almost after 1 year, as these lenses get fail to detect the invisible markings. 4. How to keep these contact lenses? Always these contact lenses in its solution to get a longer eyes and prevent chances of infection.